Ronda Rousey has joined WWE as a full-time wrestler. 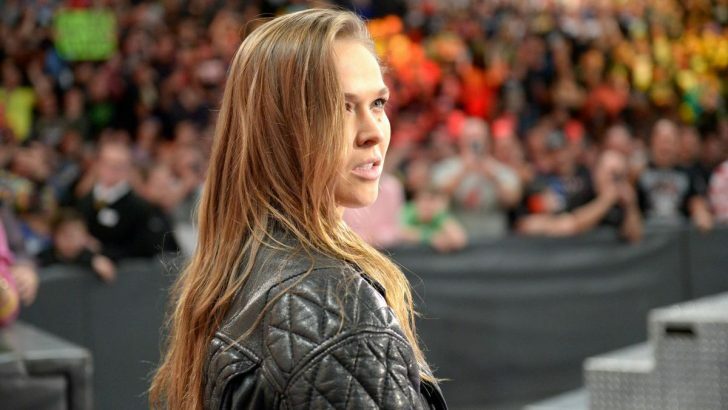 Rousey made a surprise appearance at WWE’s Royal Rumble event in Philadelphia on Sunday night at the conclusion of the first-ever women’s Royal Rumble match. “This is my life now. First priority on my timeline for the next several years. This is not a smash-and-grab; this is not a publicity stunt,” Rousey told ESPN. Rousey changed the world of MMA over the course of four years. After taking home a bronze medal in judo at the 2008 Olympics, Rousey won each of her three amateur MMA fights in less than a minute. Her first 12 professional fights were similarly one-sided as Rousey became the Strikeforce, and then UFC, women’s bantamweight champion. She won five of her first six fights in the UFC in the first round, with four of those fights lasting 1 minute, 6 seconds or less. It’s rumoured her first match will be at Wrestlemania 34, probably against Stephanie McMahon in a mix-tag match.